Book hotel rooms online with us at Luna Alvor Village Hotel at the lowest rate, guaranteed. Get a holiday discount room rate at the 4 Star Luna Alvor Village is a Apart-Hotel and is located at Alvor in the Algarve. The hotel has 70 modern holiday self-catering apartments providing a variety of accommodation from two adults up to five adults. The Luna Alvor Village apartments are set in a residential area and within walking distance of the village of Alvor. The various apartments are equipped with balconies or terraces, self-catering kitchenettes or kitchens, satellite TV, Hi-Fi, direct dial phones, internet access, safe, mini-bar and a hairdryer and a Jacuzzi in the bathroom. 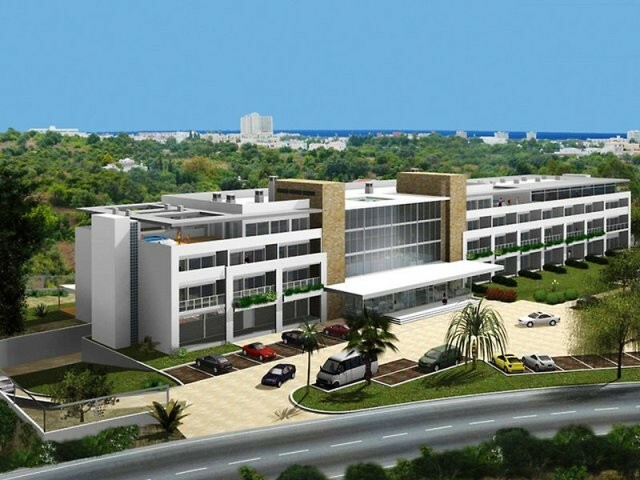 Luna Alvor Village Apart-Hotel in the Algarve facilities include a restaurant (a la carte), a bar, a snack-bar, a swimming pool, a Fitness Room, a putting green and a free courtesy shuttles weekdays to the Alvor beach and village centre during the summer season. Free Wi-Fi in public areas.